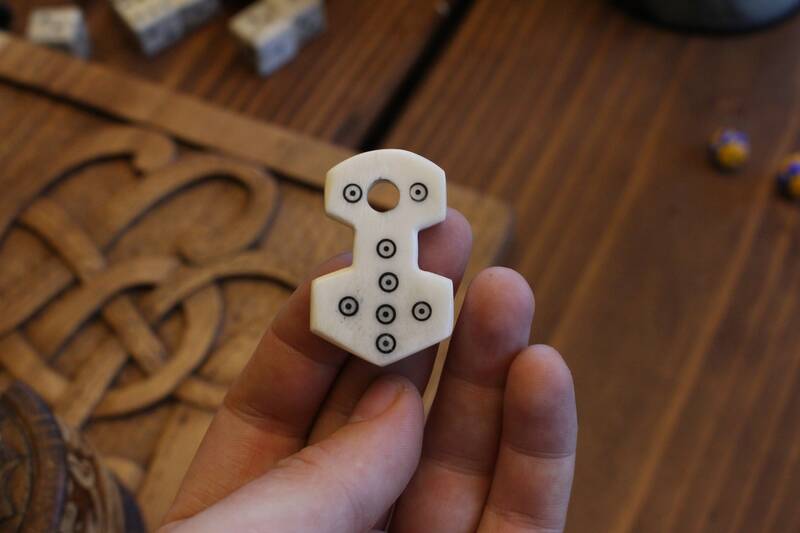 Size: 45mm tall by 29mm wide and 6mm thick. 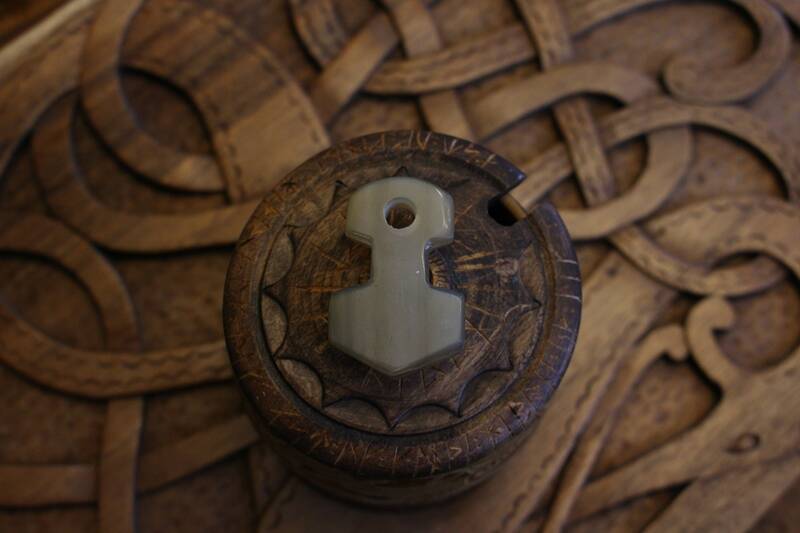 This Thor’s hammer, (Mjölnir) pendant is hand crafted in cow horn or bone. 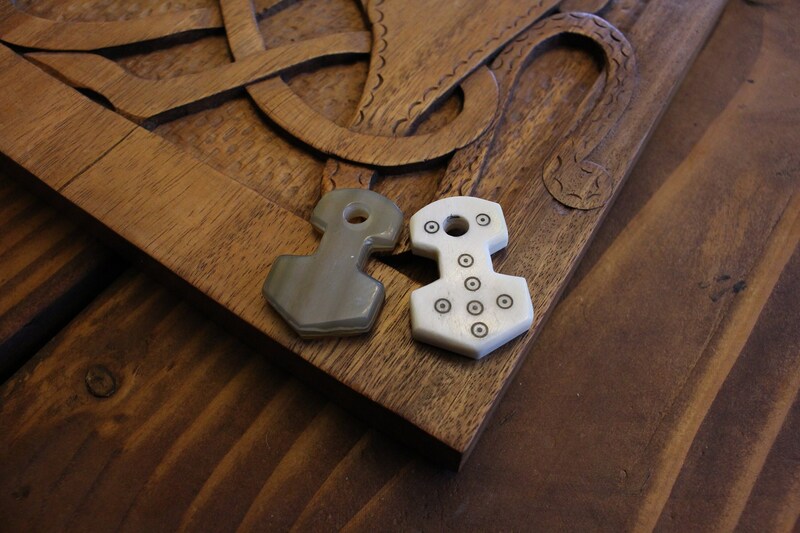 Each piece is unique due to the natural properties of the material and the creation process! 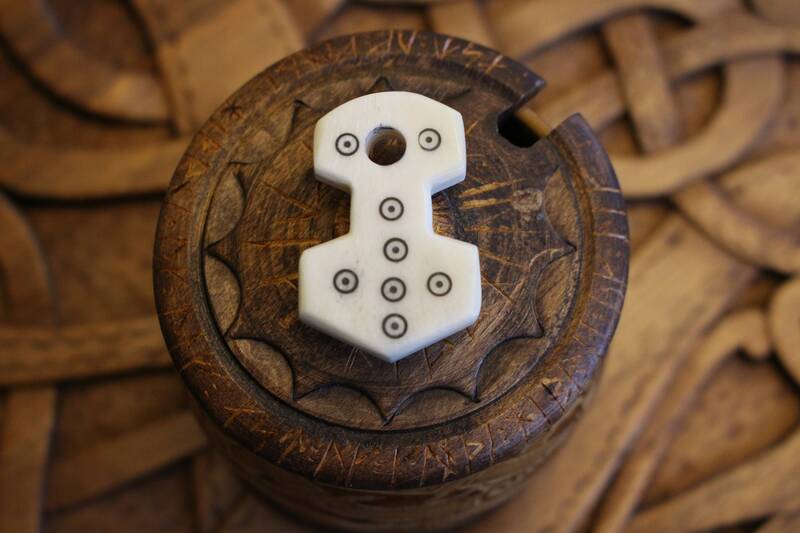 The bone pendants come with ancient symbols of cup-and-ring marks, or concentric circles and dots (see photos). These symbols date back to prehistory and appear widespread in ancient European rock art - from stone megaliths and petroglyphs to wood and bone carvings in the Viking age. Ireland, Scotland, Denmark, Norway, Sweden, Switzerland, Spain, France, England, Greece, and Italy all have cup and ring mark artwork that spans the timeframe of thousands of years! Please feel free to message me with any questions and indicate if you would like a brown or black leather cord with the purchase. (If you do not indicate, I will choose for you!) Thanks!